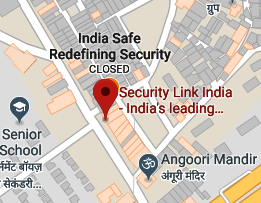 security solutions. Now in its third year, the show will mark its debut in Mumbai at the Bombay Exhibition Centre (BEC) from 28 February to 2 March 2019. The event is organised by NürnbergMesse India in co-operation with Fire & Security Association of India (FSAI). The trade fair brings together over 150 leading brands displaying solutions for active, passive, and organisational fire safety and security management. With over 10,000 sq. mtrs. of exhibition space, FSIE 2019 will have live product demonstrations across cutting edge technologies in the IBMS/ IoT space, with special focus on low voltage security systems, and new technology in fire protection & life safety systems. Interests of end customers shall be given special attentions and hence they are being specifically invited to the exhibition. FSIE will bring a unique concentrated market overview of integrated solutions for fire protection and security, especially those that intelligently combine innovation and technology. The expo will also see conferences and workshops addressing key topics related to fire safety and security. Buyer-seller meetings, trade delegations and similar others are some of the concurrent highlights that will make a part of the expo. In addition, to promote innovation and recognize extraordinary contribution of organizations and individuals in the field of security, safety, firefighting and emergency response – annual FIST Awards are conducted in association with Fire & Security Association of India (FSAI), which is a major attraction of the event. approximately 40 sponsored pavilions at the Nuremberg location and worldwide. Every year, around 30,000 exhibitors (international share: 41%) and up to 1.4 million visitors (international share of trade visitors: 24%) participate in the own, partner and guest events of the NürnbergMesse Group, which is present with subsidiaries in China, North America, Brazil, Italy and India. The group also has a network of about 50 representatives operating in over 100 countries.